You probably won't believe me, but it actually rained here in LA yesterday, and it was glorious. I got to put on a jacket, bring an umbrella with me on my walk to the watch Fantastic Beasts with Moses, and it even got cold enough to wish that I grabbed something a little heftier. In case you're wondering, yes, Fantastic Beasts was amazing, incredible, wonderful, and just magical enough to fill that void that Harry Potter left in my life when he grew up and started a family of his own. I think I told Moses four times in the span of a five minute walk how good it was, and how we should probably go see it again. But don't just take my word for it, go (and watch it in 3D, so worth it)! Then we can talk about how much we needed this film to lift our spirits, and how brilliant Redmayne was as Newt Scamander. And if you feel like taking it to the nerd-level with me, overnight yourself a copy of the screenplay... nerd alert!! How that all relates to this pie, which Moses declared one of my best pies ever, is unclear. But cool, rainy fall weather is perfect for cozy baking, so let's go with that. 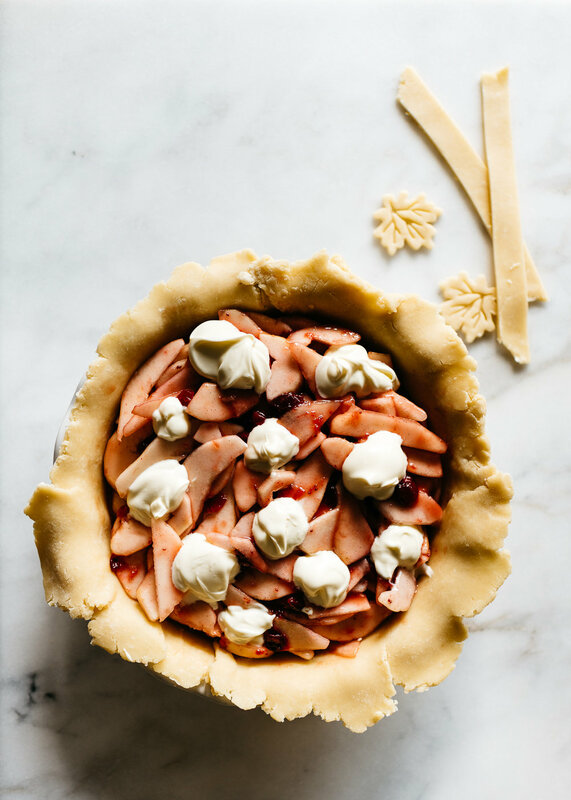 This pie screams holiday imo (in my opinion) and I feel like if it made it onto your Thanksgiving pie table this Thursday, nobody would complain. And it looks extra festive thanks to the ruby red cranberries, so bonus points for that. And that thing that some people think about fresh cranberry pies, you know that they're tart and not their favorite, tell them not to think that about this pie. Thanks to a little hot sugar water bath, the cranberries add a lot of gorgeous color, the right amount of tartness, without all the potentially dreadful mouth-puckering action. PS - Check back tomorrow for my deep dive on Vermont Creamery + a recap of Cheese Camp!! Whisk the flour, salt, and sugar together in a large mixing bowl. Toss in the butter pieces and use your hands to mix and cut it into the flour. Stop when the butter pieces are pea-sized, being careful not to over-mix. Sprinkle the crème fraîche and cold water over the flour mixture and use your hands to mix in until the dough looks sandy. 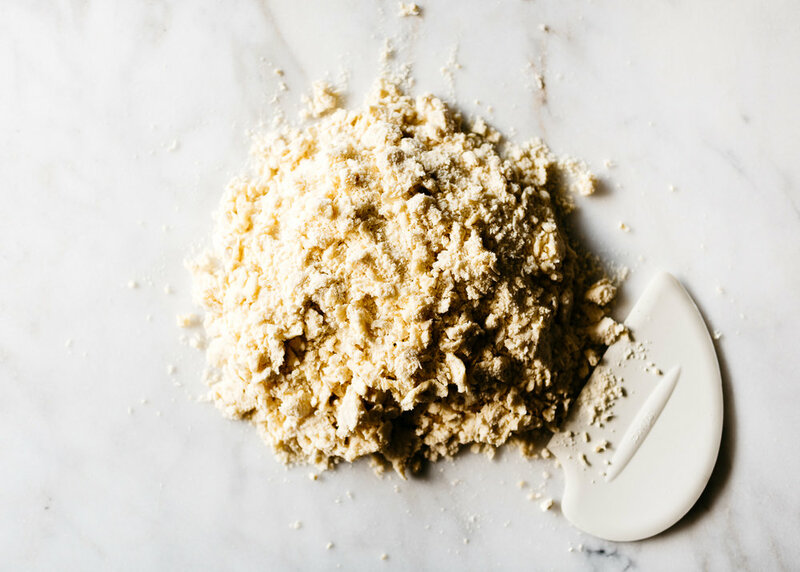 Turn it out onto a clean work surface and use a bench scraper to drag the dough from one side of the surface to the other. Gather together in a pile and repeat this no more than two more times. You should be able to divide the dough into two pieces and shape each into a flat disc. Wrap the discs tightly in plastic wrap and refrigerate for at least one hour. The dough can be refrigerated for 3 days or frozen for 1 month. Preheat the oven to 425 °F and position baking racks in the middle and bottom of the oven. Combine 2 cups of water and the granulated sugar in a medium saucepan and bring to a boil on high. Add the fresh cranberries and immediately turn the heat to low. Simmer for 2 minutes, or until all the berries have "popped". Drain through a colander and set aside to let cranberries cool. 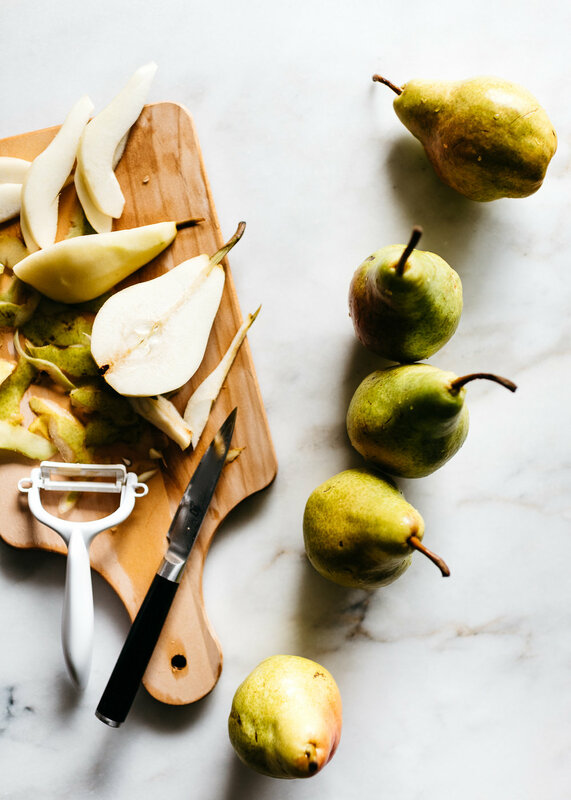 Thinly slice half of the pears and cut the remaining pears into 1/2-inch wedges. 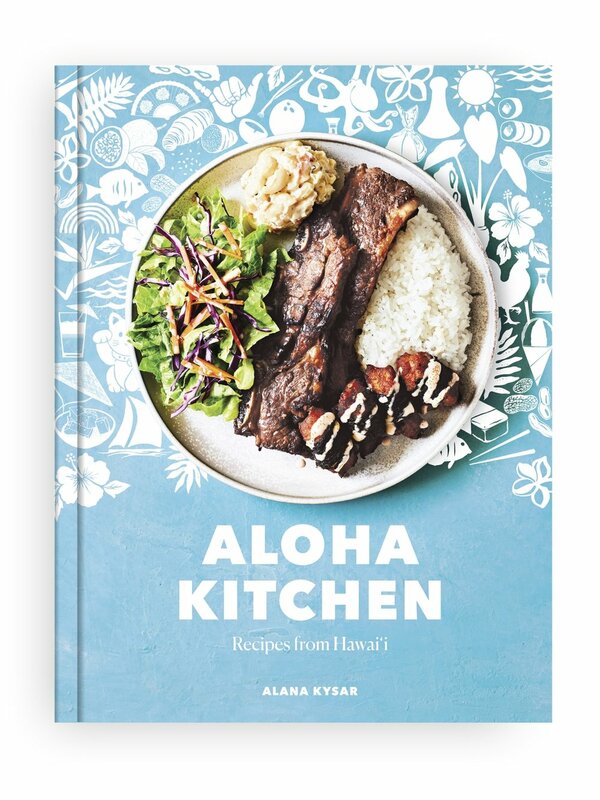 In a large mixing bowl, toss together with brown sugar, tapioca starch, vanilla bean paste (or extract), kosher salt, and a few dashes of Angostura bitters (if using). Set aside. Once dough has chilled, remove one disc from fridge and let rest to warm up for 5 to 10 minutes. Unwrap the first disc and place it on a lightly floured work surface, lightly sprinkle the top of the disc with flour. Tap the dough a few times from left to right with a rolling pine, lift up and give it a quarter turn and repeat. Then roll the dough, from the center out, lifting and turning a quarter turn every time you roll. Roll until the dough is about 1/8-inch thick and roughly 12 inches in diameter. Transfer dough to pie pan by rolling it around your rolling pin and then rolling out into the pan. Press the dough firmly into the bottom and sides of the pan. You'll want about 3/4-inch to an inch overhang, so trim any excess with some kitchen shears. Cover with plastic wrap and chill in the refrigerator while rolling out second disc. Flour your surface again and roll the second disc of dough into 12- to 13-inch circle. Use a sharp paring knife and ruler to cut strips. (Strips can be any width you want and can vary in widths if you'd like.) Transfer strips to foil lined baking sheet (dull side up), and place in the fridge to chill while you mix the filling together. Spread 2 tablespoons of crème fraîche into the bottom of your pie crust lined pan. Fold cranberries into the pear mixture then transfer to the crust, packing somewhat tightly so that the top crust doesn't sink in while baking. Remove the prepared strips from fridge and let rest for 5 to 10 minutes. Weave strips into a lattice top (refer to this post for tips). Trim strips to fit the pan and roll bottom crust over, pressing and crimping to form a seal. In a small bowl, whisk the egg and 1 teaspoon of water together to make an egg wash. Brush the crust with egg wash and sprinkle with turbinado sugar. Place on foil lined sheet and transfer to lowest rack of the oven. Bake for 20 minutes then reduce temperature to 375 °F and move pie and sheet to middle rack to back for 30 to 45 more minutes, or until the pears are soft (test with a toothpick). You'll be able to tell if the pie is done because the filling will be bubbling and the crust will be golden brown. If edges are browning too quickly, gently and loosely cover with foil. Serve (with ice cream or whipped crème fraîche) and enjoy! 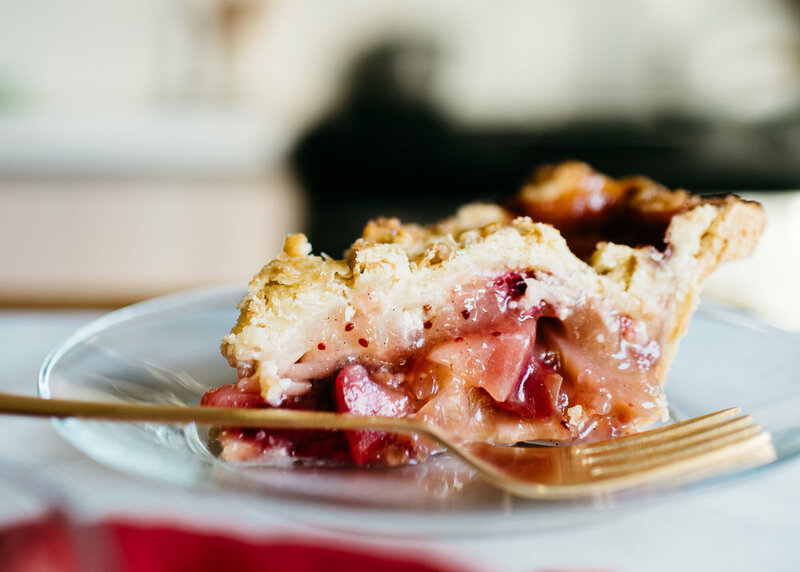 Note: This pie must be stored in the refrigerator after coming to room temperature for food safety reasons, but guess what, this pie is really good cold (I mean, if you're into that kind of thing and I am)! A huge thanks to Vermont Creamery for sponsoring this post. They make the absolute best crème fraîche--it's the only one I buy, and it's almost always in my fridge. I use it in everything from cakes and muffins to pasta and it does double duty in this pie!